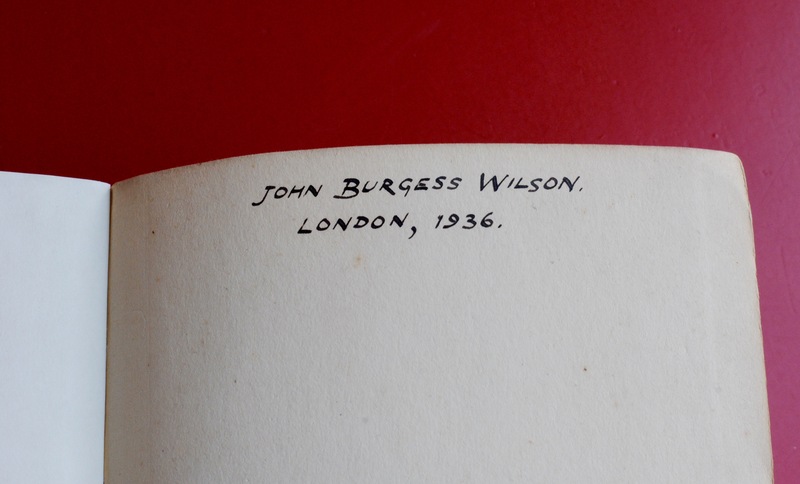 Inside the fly-leaf, Burgess has written his name, John Burgess Wilson, and the date of the book’s purchase, but perhaps more interestingly there are pencil annotations throughout The Waste Land. These are not in Burgess’s hand. 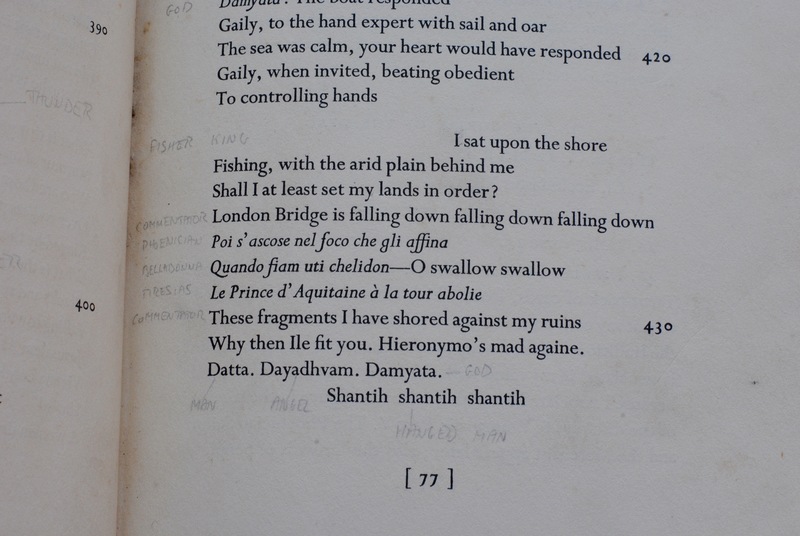 The annotations seem to indicate the preparation of the poem into a dramatic reading. Burgess reports that he was involved in a dramatization of The Waste Land at Manchester University, but he was also involved in amateur dramatics during his time in Bamber Bridge and Banbury during the 1950s and 1960s. Burgess did not only engage in adapting Eliot’s work for dramatic readings. 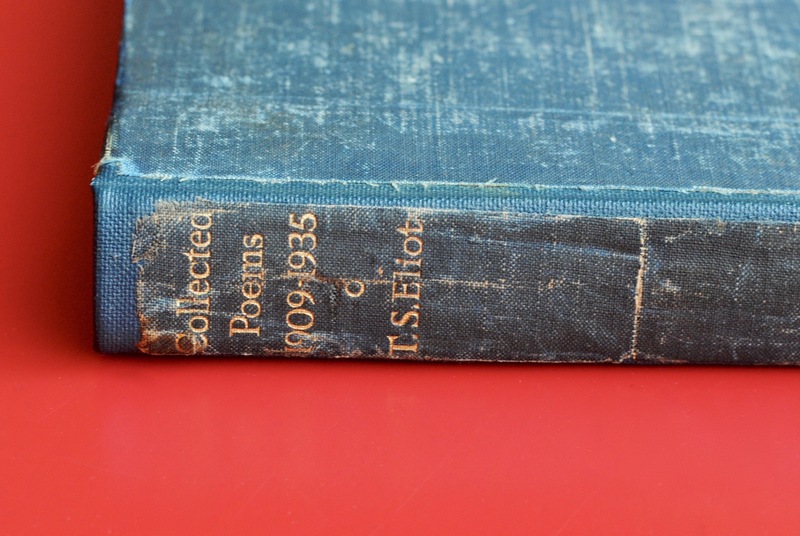 His first attempt to set Eliot’s poetry to music was on that train journey from Euston to Manchester in 1936: ‘I took music manuscript paper from my suitcase and sketched settings of the songs in Sweeney Agonistes.’ Three years later, Burgess set ‘Lines for an Old Man’, and in 1976 he set The Waste Land in its entirety as a ‘melodrama for speaker’ and flute, oboe, cello and keyboard. The Waste Land appears in the first novel Burgess ever completed, A Vision of Battlements (published 1965, but completed around 1952). Inspired by Burgess wartime experiences, it tells the story of a teacher in the Army Educational Corps, stationed in Gibraltar. The Waste Land is quoted directly at various points in the narrative: roosters are seen ‘cocoricoing’ (recalling line 392 of the poem), thunder speaking (line 399), and there is an allusion to Madame Sosostris (‘The wisest woman in Europe with a wicked pack of cards’, lines 45-6). There are also allusions to The Waste Land in another early Burgess novel: Time for a Tiger (1956). In one scene, Fenella Crabbe reads the entire poem to Nabby Adams, a drunk Colonial police sergeant, and Alladad Khan, his local colleague. Nabby has some problems with the poem: ‘”He’s got that wrong about the pack of cards, Mrs Crabbe. There isn’t no card called The Man With Three Staves. That card what he means is just an ordinary three, like as it may be the three of clubs.”’ (This idea resurfaces in Earthly Powers (1980), in which Kenneth Toomey notes Eliot’s misuse of tarot). 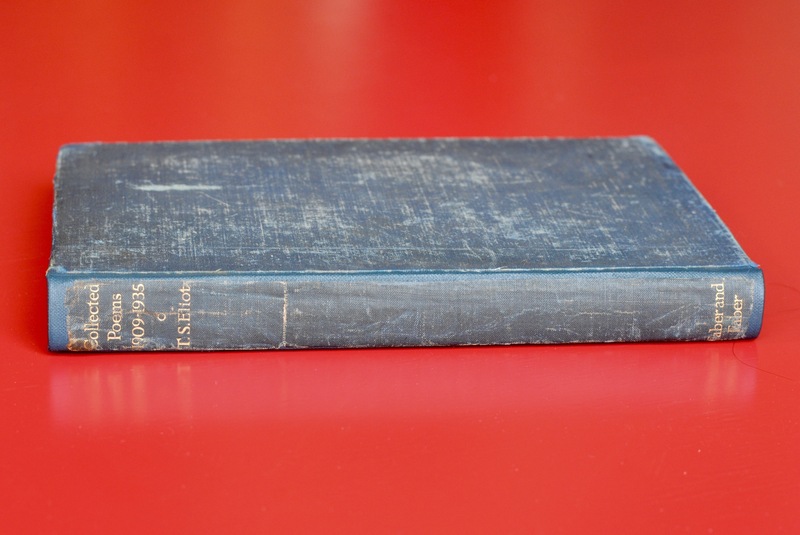 Burgess claims that he was translating The Waste Land into Malay as he was writing Time for a Tiger, but the Burgess Foundation archives contain no evidence of this work.